Welcome to the Good Life, Spike! Instead of spending Christmas in a cage at animal control, this little mini-pin will get to spend it in the warmth of a loving foster home. 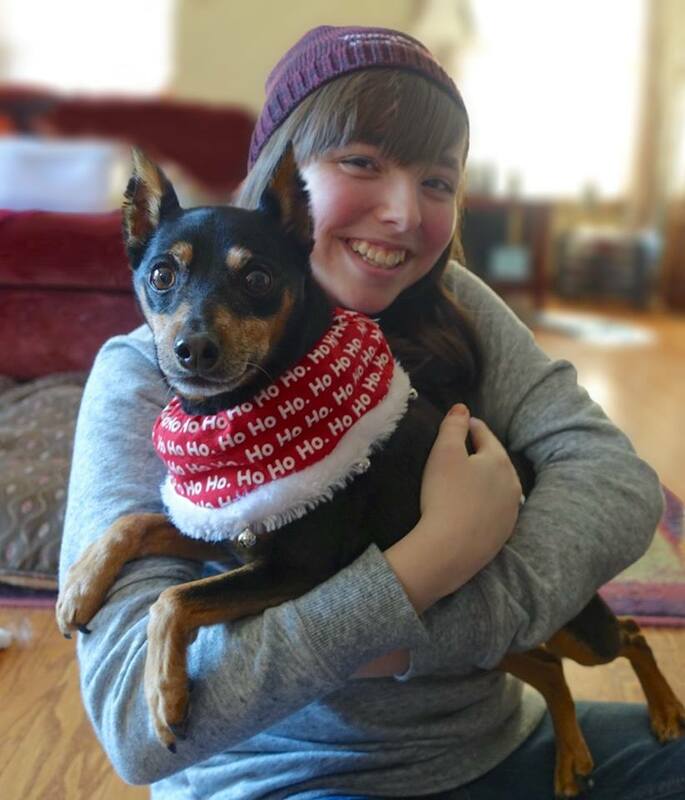 And it's so wonderful that 10-year-old Spike just happens to be the 60th dog that Alex and her family have fostered for Young at Heart! That's a lot of old dogs getting a second chance because of one family opening their heart and their home, and we cannot thank them enough for their commitment to Young at Heart's seniors! Spike is a shy little guy and a bit overwhelmed with all the change in his life since his mom was hospitalized and didn't come home. But he's in the best foster home to show him that he's ok. Spike isn't quite ready for adoption yet, but when he is, he'll need a very quiet adult family to share his golden years with. Welcome to the Good Life, Spike, and a big thanks to your amazing foster family for helping us save senior pets!